Keep up the great work! This product is by far the best tasting one on the market and quality is second to none! Been using these types of products for decades (I'm 55); this is the best tasting, most effective protein supplement on the market...ever. Keep up the great work! Best tasting protein drink anywhere ! 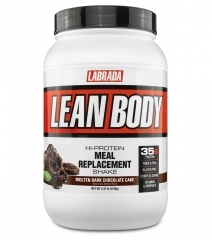 I found the Labrada line of protein drinks on Amazon. I was looking for something very low sugar, and this was zero sugar! I was sure it had to taste horrible. The salted caramel is a slice of heaven!! I am now on a meal replacement diet, and I drink 2 of these per day! I'm on a job out of state and I'm expecting a second delivery to my hotel tomorrow. That's how good they are! And with 40 grams of protein, I have energy to be on my feet several hours per day and I'm not hungry. If you haven't tried this, you truly don't know what you are missing! When they say 'award winning taste', they mean it!!! Hey guys, you are the best, keep doing what you guys doing, the taste is perfect, packaging is gorgeous, and the price is affordable. I think, as long as you guys keep the quality and price like this, you never loose any costumer. thanks again and enjoy famousness. 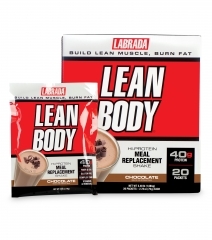 Best tasting TRD Protein shake. I love the Salted Caramel!